If there's anything we've learned from observing how the press covers Israel, it is that the facts don't speak for themselves and that a picture isn't always worth 1,000 words. The same is true for history. The first thing to know about this book - a 40th anniversary edition of the original published in 2001 - is that its author wasn't a historian. The second thing to know is that What Is History remains required reading for anyone who takes history seriously. 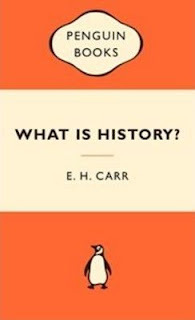 There is simply no point in talking about the principles and methodology of historical research without referring to E.H. Carr's seminal work. 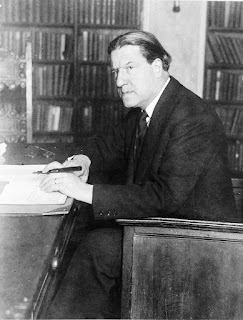 Edward Hallet Carr (1892-1982) is famous mostly for his 14-volume sympathetic history of the Bolshevik Revolution. Consequently, it isn't for his politics that Carr is still admired. While not a card-carrying communist, he was enamored with the much-vaunted Bolshevik utopia - and to be fair, he comes off sounding more like a misguided liberal than a Marxist. In fact, those elements in this book that fail the test of time all involve Carr's "progressive" outlook, in which he expresses belief in "the expansion of reason." Like most liberals, he was an optimist. Carr didn't start out as a historian. He read classics, worked in the British Foreign Office, wrote political and literary biographies, taught international relations, was a broadcaster, and even did a stint as assistant editor at The Times of London. 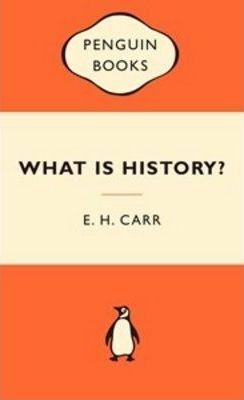 Finally, in 1955, he became a Fellow at Trinity College, Cambridge - where, as historian Richard Evans writes in the introduction to this new edition, Carr remained until his death at age 90. At his now-famous Macaulay Trevelyan lectures (the book is basically a transcript of his talks), which were given between January and March, 1961, Carr grappled with history's Big Questions: objectivity, truth, causation, the role of the individual, and morality. HISTORIANS such as John Acton (1834-1902) believed that everything worth knowing about modern history would at some stage become known. Others argued there was no such thing as "objective historical truth." Carr was convinced that both these viewpoints were wrong. "Facts speak only when the historian calls on them," he said. "It is he who decides to which facts to give the floor, and in what order or context. Study the historian before you begin to study the facts." This led him to conclude that history "is a continuous process of interaction between the historian and his facts - an unending dialogue between the present and the past." Carr concludes, then, that history involves moulding facts to interpretation and interpretation to facts. He grappled with whether people matter, or if we are simply swept up in the changes that result from an ongoing conflict between opposing historical forces - what Marxists call dialectics. Of course, where communists see the hidden hand of Marx, religious true believers understand history to be determined by a Creator. To both these camps, Carr retorted - surprisingly - with one of Marx's witty asides: "History does nothing, it possesses no immense wealth, fights no battles. It is rather man, real living man who does everything, who possesses and fights." What that means, said Carr, is that people are both products and agents of changing social processes. NEXT, CARR turned to the "lessons of history." Should Munich's lessons about conflict resolution in 1938 have headed off Yitzhak Rabin's 1993 embrace of Oslo? That's asking too much, Carr would say. "To learn about the present in the light of the past means also to learn about the past in light of the present. The function of history is to promote a profound understanding of both past and present through the interrelation between them." Bottom line: the goal of history isn't to predict, but to garner useful inferences. What about morality? Should it matter to historians that Bill Clinton or John Kennedy were serial adulterers, or that Stalin was nasty to his second wife? As Carr saw it, "the historian does not turn aside to pronounce moral judgments on the private lives of individuals who appear in his pages. He has other things to do. He will not pass judgment on the individual slave owner. But this does not prevent him from condemning a slave-owning society." Take the Industrial Revolution: it caused much suffering [as does globalization today], wrote Carr, but he never found a historian "who said that, in view of the cost, it would have been better to stay the hand of progress and not industrialize." He assumed that the same would one day be said for forced collectivization in the Soviet Union. To be fair, Carr could not have known in 1961 what we know today - that between 1929 and 1933, some 14 million people died in the "dekulakization" and collectivization of agriculture - what historian Robert Conquest called the Soviet "harvest of sorrow." WHAT ABOUT causation? Does history "just happen," or is everything more or less predetermined - by Marxist dialectics or the interventionist hand of God? For Edward Gibbon (1737-94), the Roman empire declined because of the triumph of barbarism on the one hand and the rise of a new religion on the other. Gibbon said: "History is little more than the register of the crimes, follies and misfortunes of mankind." As Carr saw it, "the historian deals in a multiplicity of causes." Events don't have to happen, though they do have antecedents. Moreover, historians need to look ahead and imagine how the past will be perceived in the future. Accidents - which teach no grand lessons - also happen. Carr could be droll: "When King Alexander of Greece died in the autumn of 1920 from the bite of a pet monkey, this accident touched off a train of events which led Sir Winston Churchill to remark that 'a quarter of a million persons died of this monkey's bite.' "
WHERE IS history heading? Toward "progress?" Toward a messianic era? "It was the Jews," said Carr, "and after them the Christians, who introduced an entirely new element by postulating a goal toward which the historical process is moving - the teleological view of history. History thus acquired a meaning and purpose." But for Carr, there is no master plan. Nonetheless, as a liberal, he believed in "the progressive development of human potentialities." Carr's approach strives to find a balance between ideologically - or theologically - driven determinism and relativism, between history as mysticism and history as cynicism, between a history that offers an infinite number of possible explanations and a history that is without discernible pattern. The more we think about it, the more we realize that glib aphorisms about history - that it is a march of progress, that it repeats itself, that it unfolds inexorably, that it follows a discernible moral purpose, that it is linear - don't take us anywhere. We are left with the realization that even a historian who sets out to get the facts straight before offering interpretation remains incapable of producing anything but a work flawed by human frailty and bias. 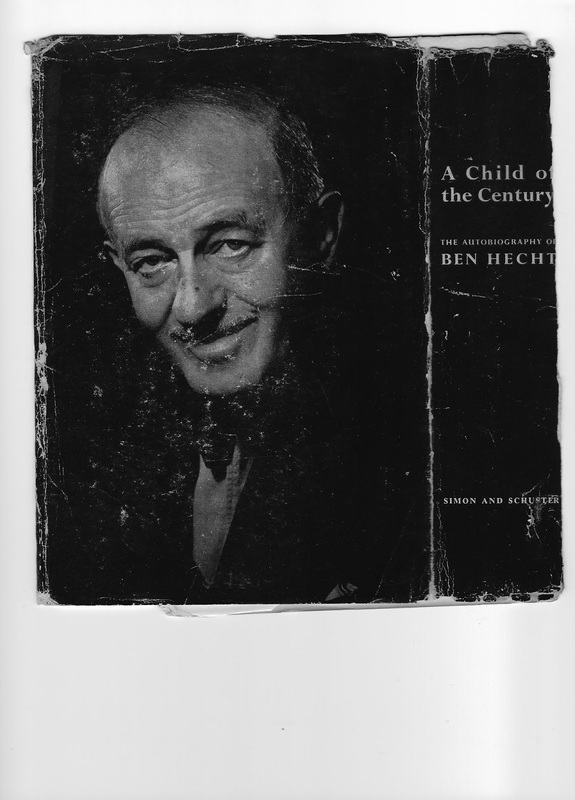 Does the name Ben Hecht ring a bell? Two new biographies tell the story of the brilliant but near-forgotten wordsmith and rebel. Ben Hecht: Fighting Words, Moving Pictures by Adina Hoffman. Yes. He could be belligerent. But consider who might hypothetically turn up at a Ben Hecht dinner party. Anyone from Alfred Hitchcock and Marilyn Monroe to Menachem Begin and Mickey Cohen. Hecht associated with gangsters, journalists, poets, Hollywood types (from the silent movie era onwards), Jewish machers and Zionist troublemakers. When I was 17 and working at Biegeleisen’s bookstore on Manhattan’s Lower East Side, I was handed a "required reading" list by my Jewish Defense League chapter chairman. It listed Perfidy by Ben Hecht. When I asked one of the Biegeleisen brothers if they could get me a copy, it was explained to me that not only was Perfidy out-of-print its author had been twice blacklisted – by the Jewish establishment and by the British film industry. In the end, I was able to borrow the book, and my mother ע״ה photocopied Perfidy in its entirety since I had to give it back sooner than I could finish reading it. Over several early mornings, before her workmates arrived, she xeroxed the book two pages at a time on legal size paper. I devoured Perfidy. Style-wise Hecht reminded me of Pete Hamill whose column I read addictively in The New York Post. I found myself appalled by the events surrounding the Kastner case as depicted by Hecht. For a long time afterward, I kept an eye out for all things Hecht. I eventually accumulated two volumes of Perfidy (to be sure - to be sure) and collected a dozen other books by Hecht from old-school book-finders. Hecht was born in 1893 in New York City and lived on the Lower East Side. He went to school on Broome Street (but not to my Yeshiva Chasen Sofer which had yet to be transplanted from Europe) and (like me) spoke Yiddish before uttering a word in English. His family moved to Racine, Wisconsin around 1903 in search of a better life. He grew up in a haltingly upward mobile family. Went off to college. Quit college in a flash. And immediately, providentially, found work at the Chicago Journal. Ponder this: in 1910 Chicago had ten (!) daily newspapers. 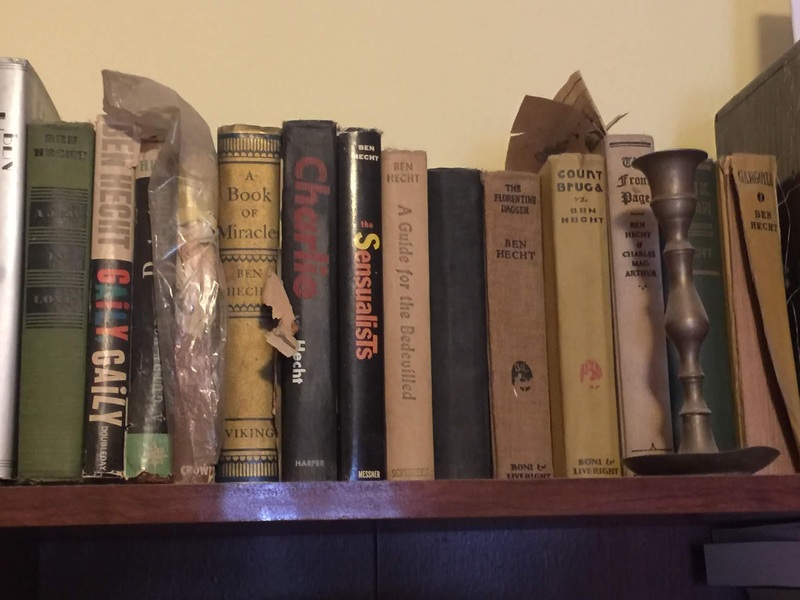 It was there that Hecht honed his gift for "breaking and entering" so that he could, by hook or by crook, gather photographs to go with news stories. More importantly, he developed his craft. He learned how to write for newspapers, the stage, and cinema. He became streetwise about crime, the mob, women, and the dark side of human nature. His obsession with Jews and Zionism would come later. Newspapers were evolving to the point that by 1922 accuracy and fair play in reporting began to matter. With the end of World War, I (1914-1918) and the creation of Germany’s Weimar Republic in 1919, Hecht arrived in Berlin as a novice foreign correspondent (for what turned out to be a six-month stint). He witnessed factions across the political spectrum violently vying for power. He reported on a massacre of radical Spartacists (Lenin-leaning reds) by soldiers loyal to the social democratic government. He picked up on the canard that Germany lost the Great War because of a traitorous Fifth column. And he observed that the military high command was scheming to blame the democratic socialists for the country’s post-war travails. This German episode would offer fodder for his first novel, Erik Dorn (1921). How Hecht got from Eric Dorn to Perfidy and from being an uncomfortable Jew to a Holocaust-era hero and Irgun operative is part of what makes him a sufficiently compelling figure to have inspired two new biographies: The Notorious Ben Hecht: Iconoclastic Writer and Militant Zionist by Julien Gorbach and Ben Hecht: Fighting Words, Moving Pictures by Adina Hoffman. Gorbach, a reporter turned media studies professor offers a biography that is sprawling, contextual and detailed. What made Hecht “notorious” in his view is that after WWII he partnered with American Jewish gangsters and Palestinian Jewish terrorists – Hecht did not shy away from the word – and penned incendiary denunciations of the Jewish establishment. Still, “Labels like conservative or right-wing would be inaccurate for Hecht,” writes Gorbach. Hecht’s life offers a huge canvas which allows Gorbach to pause and contextualize the Chicago scene, the evolution of newspapers in the 20th century, Hollywood (Jews, scripts, personalities), and the gangster world. That’s just for starters. Hoffman’s elegantly written short book necessarily telescopes Hecht’s life story. She focuses laser-like on what’s essential to know about Hecht. Gorbach’s less-rushed biography will give you more about the Chicago newspaper scene, the early days of cinema and the lay of the Zionist land. Hoffman is perhaps best known for her Sacred Trash: The Lost and Found World of the Cairo Geniza which she wrote with her husband, Peter Cole. Both writers know and admire their subject; neither is oblivious to his faults. And neither has much sympathy for today’s Israeli right. But then neither would Hecht, I suppose. Ben Hecht was a cardiac Jew – Jewish in his heart and by osmosis; like a non-kosher delicatessen that serves Jewish-style cuisine. During WWII he would become Jewish also in his kishkes. His parents spoke Yiddish of course. His mother and her sister Tante (aunt) Chasha “molded him into a hard-nosed realist and iconoclast,” Gorbach informs. Hoffman’s take is that “Hecht’s Americanness was arguably his true religion.” He must have remained attached to his parents for they moved to be closer to his California home. About his not unreasonable dark view of human nature: Ben Hecht was as skeptical of the man in the street as he was of the man in the White House. No one could be reasoned with. You might be able to sway public opinion by manipulation but not by appealing to “the better angels of our nature,” in Lincoln’s phrase. This pragmatic ethos informed his thinking about Chicago racketeers, villainous Nazis, and (l'havdil) Roosevelt-era court Jews. For relationships, Hecht was attracted to smart women. He was twice married. In 1915, an Episcopalian priest officiated at his nuptials to Marie Armstrong, a fetching fellow reporter. They had a daughter Edwina or Teddy who became an actress and died tragically in 1971. I don’t imagine Hecht was much of a presence as a father (which is not to say he didn’t genuinely love his children Edwina, Jackson, and Jenny). He divorced Marie and married the comely and Jewish Rose Caylor in 1926. His serial adultery notwithstanding theirs was an enduring 38-year-long partnership. He died in her arms. He would leave the actress Mary “Mimsy” Taylor Zimbalist who was the love of his life to return to Rose, Gorbach writes. Hoffman’s slim volume contains stunning evocative photographs. There is one of Hecht at 13 as well as pictures of Marie and Rose looking beautiful. Like some of the characters he created, Hoffman writes that Hecht was "quick-witted, sexed-up, verbally carbonated – and it came naturally to him to bring that air of frenetic, suggestive japery he so enjoyed to the page, bound for the screen." 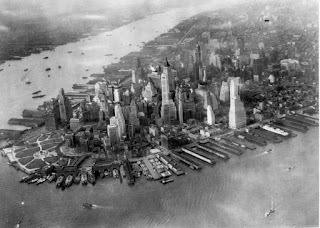 Ben and Rose were back in New York by 1924 but despite trying could not stomach life on the teeming Lower East Side. They moved uptown. 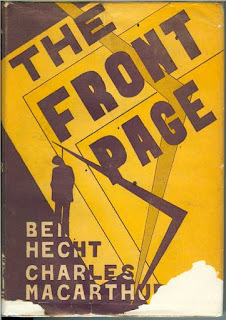 Hecht formed intense and lasting friendships: There was the down and out poet Maxwell Bodenheim and his playwright buddy Charles MacArthur with whom he wrote The Front Page. Hecht had the most creative fun when he could enjoy “the camaraderie of collaboration,” in Hoffman’s words. 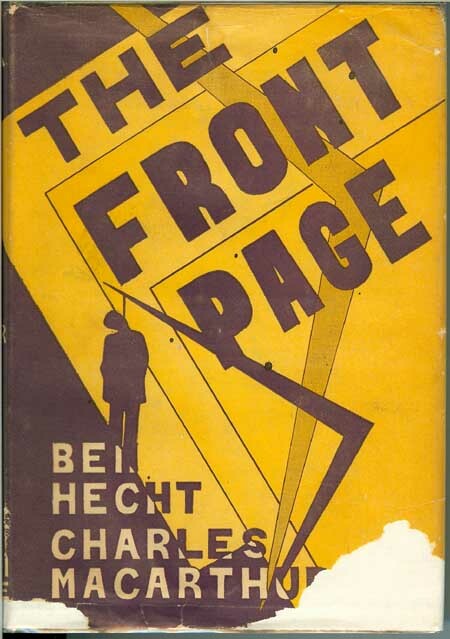 The Front Page, first performed in 1928, is set in the press room of a Chicago courthouse. 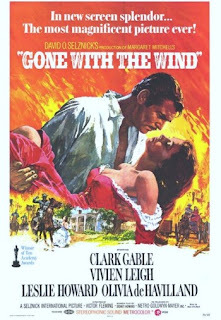 By the time the Great Depression hit in 1929 Hecht was well ensconced in Hollywood writing for the likes of Alfred Zucker Samuel Goldwyn and the Warner brothers. A randy, cigar-smoking, hard-drinking, workaholic, he was good at writing for every genre from newspapers and books to the stage and film. There were times that Hecht felt like a literary whore for producing lowbrow fare; and he held his interventionist, wrong-headed, movie mogul bosses in contempt. Money-wise, though, he was raking it in, according to Hoffman. If a script, think Gone with the Wind, needed fixing Hecht was the man to do it – fast. His talent was in demand so he could live well – at times recklessly beyond his means. He kept homes in Nyack (Rockland County, NY), on Manhattan’s West Side, and in Oceanside, California. In 1931 he published the self-loathing bestseller A Jew in Love which was received with the kind of disdain in Jewish circles that would greet Philip Roth’s Portnoy's Complaint 38 years later. Hecht dedicated the book to Hollywood producer Walter Wagner (born Feuchtwanger) with whom he would then collaborate on the 1963 film, Cleopatra. What motivated all this is anyone’s guess. Hitler came to power in 1933. The Nuremberg Laws came along in 1935. Hecht undoubtedly took Hitler seriously though perhaps not literally. Then in November 1938 came Kristallnacht. Hecht reported that that’s when he became a Jew. For Europe, the Second World War began with Germany’s invasion of Poland in September 1939. Three months earlier, in June 1939, Hecht brought out A Book of Miracles a collection of stories. The second one “The Little Candle” is ghastly. It imagines “that Europe decided to kill off the Jews – not many of them but all of them,” according to the Associated Press book review Gorbach tracked down. The only glimmer of hope was that in Hecht’s imagination, not all the candles would be extinguished. He began writing a column “1001 Afternoons in New York” in the city’s liberal-oriented PM newspaper. That became his bully pulpit. 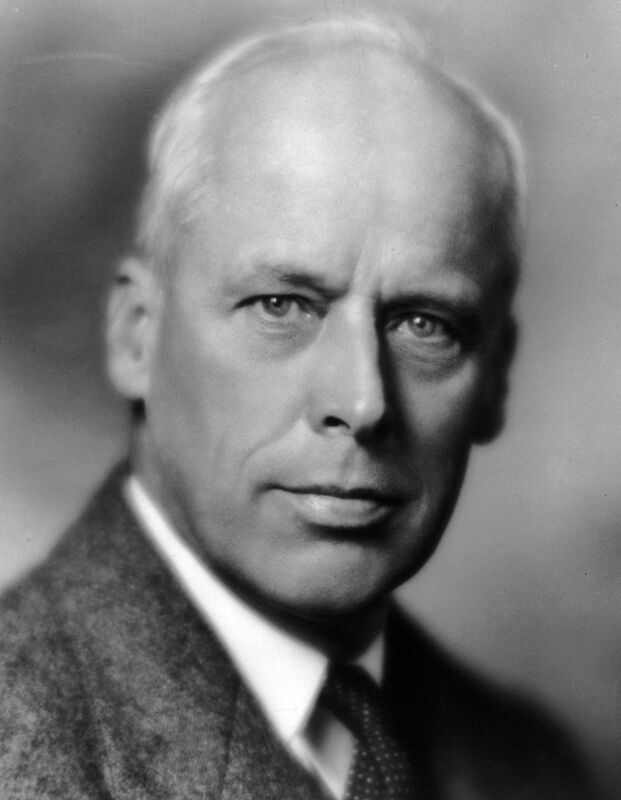 In 1941 he used the column to attack US ambassador to the Court of St James's Joseph Kennedy (JFK’s father) for advocating the appeasement of Hitler. In the summer of 1939, the administration of Franklin D. Roosevelt refused a last-resort appeal to allow 937 Jewish refugees to find refuge in Florida. They had set sail on the St. Louis from Hamburg bound for Cuba, but the Havana government of Federico Laredo Brú would not allow them in. Both Washington and Ottawa rebuffed Jewish pleas to make an exception to their closed-door policies. The St. Louis Jews were sent back to Europe where ultimately 254 were stranded and, eventually, murdered by the Nazis. The US was hauled into WWII on December 7, 1941, by Japan’s attack on Pearl Harbor. By then the destruction of European Jewry was well underway although the Germans had not at that point yet perfected systematic and industrialized genocide. Hecht worked feverishly to put pressure on the Roosevelt administration to do something, anything, to help Europe’s Jews. With Peter Bergson, he crafted publicity campaigns – pageants, stage shows, films, newspaper advertisements, and wrote scathing newspaper and magazine articles. His most vehement opposition came from the alphabet soup of Jewish organizations – in 1943 from the ADL but more typically from Stephen Weiss’s American Jewish Congress. During the dark days of the Holocaust having failed to get Jewish organizations to sit in the same room without turning on each other, Bergson told a disconsolate Hecht, "Jews must always battle Jews. It's the only politics open to a stateless people. The only victories they can hope to enjoy are victories over each other." Of course, it turns out that even with a Jewish state the various Jewish tribes relish their intramural battles too much to give them up. FDR was beloved among the Jews. To this day the Jew-haters claim he was Jewish. 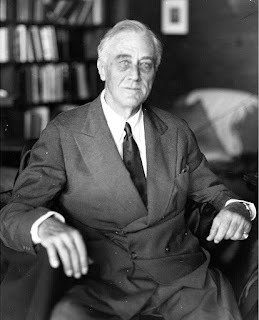 FDR must have intimated to Rabbi Stephen Wise that it would be unwise to make WWII into a Jewish issue. That would only make things worse. A deserved chunk of Gorbach’s The Notorious Ben Hecht encompasses the Holocaust-era and the struggle to establish a national homeland for Jews in Palestine. 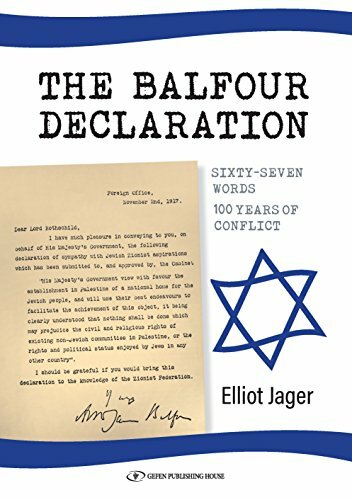 The 1917 Balfour Declaration had promised it. The League of Nations had given Britain the Palestine mandate precisely so it could fulfill the declaration. At the brink of WWII Britain cravenly reneged on the letter to appease the Arabs. It also barred Europe’s Jews from finding refuge in Palestine. If ever there was a time to yell gevalt this was it – against Roosevelt and Churchill (who did not, to my knowledge, reverse Chamberlain’s May 1939 White Paper barring the doors of Palestine even if only to telegraph his moral outrage to Hitler). In April/May 1941, Hecht began coordinating with The Bergson Group led by twenty-six-year-old Peter Bergson (Hillel Kook) and including Samuel Merlin, Yitshaq Ben-Ami, Arieh Ben-Eliezer, Eri Jabotinsky, and Alexander Rafaeli. Hoffman portrays Bergson-Hecht as an odd couple: "It was a most unlikely meeting of the minds. 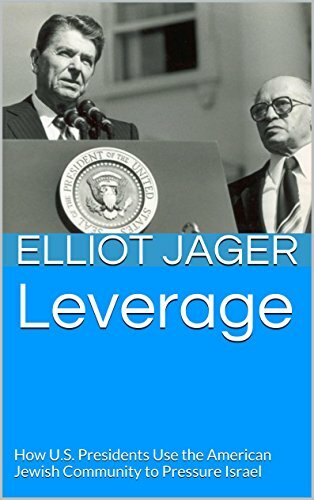 Here he was – a middle-aged, pork-chop-eating, Christmas-tree-lighting dyed-in-the-American-wool wise guy who 'disliked causes...disliked public speaking...never attended meetings of any sort ...had no interest in Palestine and had always bolted any conversation about a Jewish homeland.' Moreover, there was Bergson, a dashing young Lithuanian-born Palestinian activist, passionately committed to the cause of national Jewish liberation as conceived by the intellectual and ideological firebrand Ze'ev Jabotinsky." Speaking of Jabotinsky, his followers had arrived in the US planning to carry out his instructions. However, on August 4, 1940, this towering, charismatic and prophetic Zionist personality died unexpectedly at age 59 in upstate New York. The Bergson Group then made it their mission to facilitate “illegal” immigration to Palestine. When WWII broke out, the mission expanded to creating a Jewish army to help fight the Nazis. As news of Nazi genocide became known the mission expanded further to rescue of European Jewry. Nazi leaders were determined to systematize the destruction of Europe's Jewish people bringing the relevant players together at the January 1942 Wannsee Conference. After this point, US officials could no longer spike the genocide story or string Stephen Wise along. On November 25, 1942, The New York Times reported: “HIMMLER PROGRAM KILLS POLISH JEWS; Slaughter of 250,000 in Plan to Wipe Out Half in Country This Year Is Reported REGIME IN LONDON ACTS Officials of Poland Publish Data – Dr. Wise Gets Check Here by State Department. Both newspapers were owned by assimilated Jews who like Rabbi Wise did not want the war to become a Jewish issue. In their efforts to spotlight the genocide Hecht and Bergson faced strident opposition from the US Jewish establishment and the David Ben-Gurion-led Jewish Agency in Palestine. Ben-Gurion (like Chaim Weizmann) was conflicted about what to do on behalf of the European Jews, but both knew with full certainty that if Jabotinsky’s people were pursuing a strategy, they needed to be against it. Ben-Gurion pressed Stephen Weiss to follow his lead. This antipathy was real before, during, and after the war (when the Bergson/Hecht mission became expelling the British from Palestine). In the spring of 1939 (before the war broke out though after the British White Paper) the Bergson Group sought to lease ten dilapidated ships which were to deliver 10,000 Jews from Europe to Palestine per voyage. While Ben-Gurion and Chaim Weizmann despised each other, they were united in their animosity toward The Bergson Group – denigrating them as “fascists” and extremists. 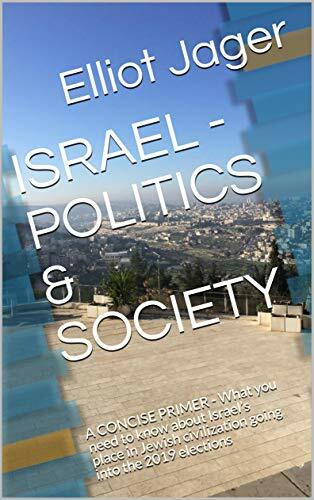 Gorbach’s book has the added value of providing a capsule history of Jewish and Zionist politics in the first half of the 20th century. The one constant – infuriatingly typical of Jewish history throughout millennia – is the infighting, backbiting and self-destructive behavior, the petty personality squabbles cloaked in ideology. Wise, whom Hecht slugged as “a pitiful Shtadlan,” was said to have reported Bergson to the FBI as a communist. The supercilious Nahum Goldmann, a global macher, urged American authorities to either draft or expel Bergson. Gorbach emphasizes that the Wise-Bergson struggle was not all black and white. Indeed, what would any one of us have done – without the benefit of 20/20 hindsight – if the president of the United States, popular beyond all measure in the Jewish community, urged us to trust him to do the right thing? I also try to keep in mind that during WWI Wise went against the grain and was a leading Zionist working for the Balfour Declaration while the Reform movement was staunchly anti-Zionist. Hoffman quotes Norman Mailer as saying that Hecht was "never a writer to tell the truth when a concoction could put life in his prose." Something to, perhaps, keep in mind when reading A Child of the Century his autobiography. Hecht was full of himself – one of those people who never grow up. He got by with help from his friends. At the same time, he stayed loyal (imperfectly) to them even when his fortunes soared, and theirs nosedived. He made enemies of friends and friends of enemies. The rabbi who once denounced him as a self-hating Jew tearfully officiated at his funeral. Hecht was imperfect. He never visited Israel. The rebel was forever grappling with what it meant to be a Jew. If he was a hack, it was so that he could pay the bills. So what? However, his prodigious talent was undeniable; and politically he was mostly on the right side when it mattered most. Which book is for you? Gorbach makes a minor stumble, or so it seems to me. I don't see historian Lucy Dawidowicz and the Commentary of her time as “neoconservative.” He takes too seriously for my taste the scholarship of Ben Halpern and Zeev Sternhell. As the pages run out, the author tags on a tendentious kvetch about (a) Israeli settlements and the death of (b) peace process (c) liberal Zionism and (d) two-state solution. None of this should detract from the value of the book. Gorbach and Hoffman (who are politically, I think, on the same page) are writing for slightly different audiences. Gorbach’s book is more comprehensive and scholarly – it is based on the author’s 2013 doctoral dissertation, but it is jargon-free and accessible. Hoffman’s book is succinct, and her writing is remarkably graceful. Indulge yourself, if you can, and read both. When Hecht died suddenly at age 70 on April 18, 1964, in Manhattan, Menachem Begin the leader of the Herut Knesset opposition flew in to eulogize him. 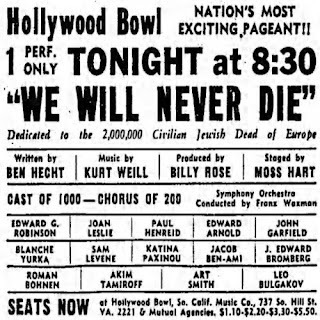 The actor Luther Adler and entertainer George Jessel also spoke. Peter Bergson, who by this point probably barely spoke to Begin, also delivered a eulogy, of course. 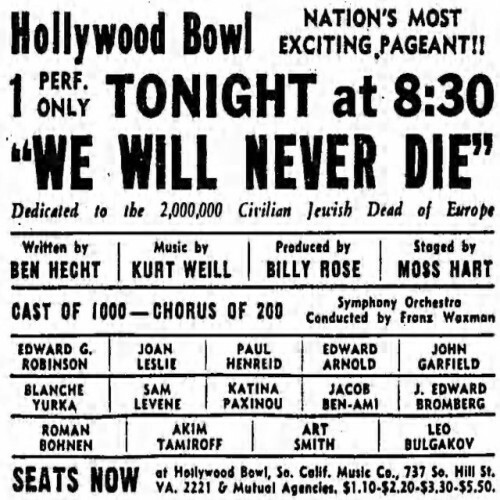 Hecht's obituary in The New York Times – of all places – concludes by quoting Hecht himself: "To retell anecdotes of a witty man is like staging a play without scenery or footlights. And the wrong cast. A man dies, and his anecdotes hang in the air like lessening echoes. It is like watching a soul vanish." Socialism in America is back in vogue. Alas, it is the socialism of Alexandria Ocasio-Cortez, Rashida Tlaib, and their enablers. I knew a different kind of socialist, a man who ran for vice-president of the United States as the Socialist Party candidate. He sought office once before I was born (1952) and once when I was two (1956). I doubt he would have been comfortable with the direction taken by today’s American socialists and self-identified progressives as they maneuver to realign the Democratic Party into an illiberal and anti-Zionist orbit. My old school American socialist was Samuel Herman Friedman -- שמואל פריעדמאן – who died on March 17, 1990, at age 93. His yahrzeit according to the Hebrew calendar is 20 Adar I 5779 or Monday, February 25, 2019. Friedman was a recognized Lower East Side character. Our paths first crossed in the 1970s when he began coming to shul on Saturday mornings at Rabbi Seymour Nulman’s East Side Torah Center on Henry Street not far from his apartment on Grand Street and the FDR Drive. He was a presence. A big whitehaired balding man usually dressed in a rumpled light grey suit, white shirt with black tie askew. My friend Aaron who sat upfront remembers him vaguely as "the guy who looked like Col. Sanders." His eyesight was failing, and he walked with a cane purportedly presented to him by Egyptian President Gamal Abdel Nasser in Cairo. Did I need to know more? Nasser. Socialist. Cairo. I also understood that he had married out – scandalous in my parochial world especially for a man of that age. In shul, he would stand in the back, without a tallit prayer shawl but with a flimsy black yarmulke on his head, against the wood-paneled wall and almost visibly absorb the sounds of the prayers. I have always had a soft spot for old people, for their vulnerability so it was only natural that I struck up an acquittance with Mr. Friedman and tried to make him as welcome as possible. He and I had the back of the sanctuary mostly to ourselves. I had a pew of my own. He had the wall. Nasser, socialism, Cairo, and out-marriage somehow never came up. Almost no one else spoke to him, and he would never be given an aliya to the Torah or any other religious honor. Later I discovered that he loved show biz and theatre songs especially if they came with a political message. He had a melodious (once booming ) voice and had been active with the Theatre Union and the Rebel Arts theatre group. Presumably, he found Rabbi Nulman’s sermon engaging at some level and the melodies that accompanied the service reassuring. So, there he was with -- from my point of view -- all this Nasser, socialism, Cairo, out-marriage baggage in an orthodox synagogue on Shabbes. Not that there was any other kind in our immediate neighborhood. We became friendly enough for me to occasionally visit him and his wife Mary, who turned out to be gracious, at their home. The couple had no children. Mary Hough Freedman died on November 16, 2006, by which time I was already living in Israel. Up to his semi-retirement in the 1960s, he made his living mostly in journalism as a writer and editor at The New Leader and The Call, socialist newspapers, and as a teacher. In 1917, during World War I and the year of the Balfour Declaration, he was the editor of The College Mercury a student newspaper at City College. 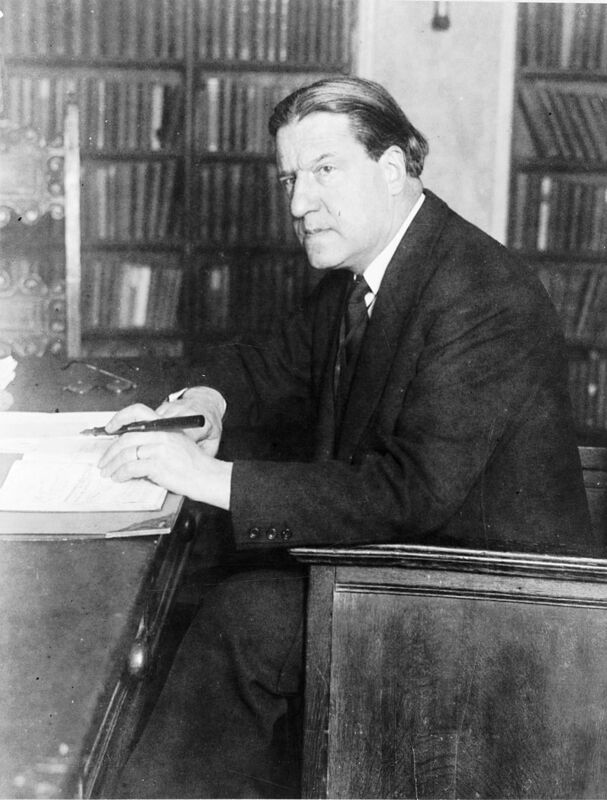 His editorials controversially championed student pacifism. Bear in mind that many Jews in the US and Europe opposed the war because America and Britain were allied with the despicable Czarist Russian regime, a fountainhead of anti-Semitism. And at that juncture in history, the Germans were the good guys. It did not fit the persona I had of him, but in the course of his career, he had been an editor at Women's Wear Daily magazine. With a graduate degree from Columbia, he also taught social science in high school and – this is worth underscoring – later in life working on behalf of the United Jewish Appeal. His sister Elizabeth Singer had made aliya. He was the kind of socialist who had to work for a living, kept kosher after a fashion, and implicitly (at the very least) recognized the right of the Jewish people to a national home in Palestine. Foremost, Friedman was a labor union activist. Politics was his passion. He and Mary would vacation in Putnam Valley, NY at the Three Arrows Cooperative Society with other socialists. Friedman was on the board of the Young People's Socialist League. In the 1940's he ran for one NYC or NY statewide office after another – state senator, comptroller, lieutenant governor, City Council president and so on. He was the socialist Harold Stassen – running frequently and never winning because the only viable election vehicles in the zero-sum US political system were and are the Democratic and Republican parties. A good government reformer who went up against Tammany Hall (the corrupt Democratic machine) he got himself arrested lots of times – once in 1949 for supposedly speaking too loudly at a demonstration. In 1952 and 1956 the country’s leading socialist Norman Thomas (a Christian but no friend of Israel's) argued against expending limited resources on another national presidential campaign, but the party decided otherwise. 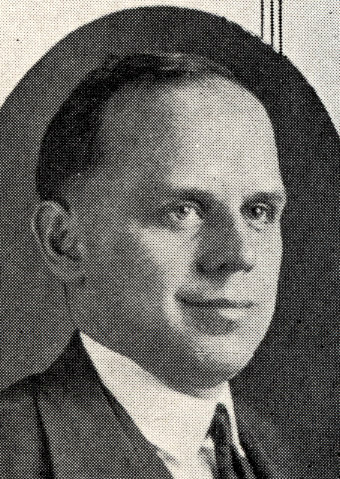 Friedman, a member of the Socialist Party's national executive board, was tapped to run for vice president with Darlington Hoopes (born to a Quaker family), who once served in the Pennsylvania House of Representatives, heading the ticket. They never garnered more than 20,000 votes countrywide in either attempt. However, Mr. Friedman was running to spread the message that capitalism, as embodied by the two major parties, was not primarily interested in working people. Winning elective office was not his primary goal. Friedman like many left-leaning Jews during the 1960s engaged in civil disobedience on behalf of African-American and Puerto Ricans. To my mind, at the time, this agenda seemed perverse. Yet in this respect, he was very much in the accultured Jewish mainstream. Here is the place to point out that for poor working-class Jews like me living in Alphabet City on the Lower East Side -- it was not the blacks and Puerto Ricans who needed help from the Jews; we needed to be saved from them. During the 1960s and 1970s, the minority community was the main source of violent anti-Semitism in New York City. There were 10,000 mostly elderly Jews living under the poverty level in my neighborhood. Most Jewish establishment organizations (the Federation of Jewish Philanthropies, for instance) were spending the money they raised within the Jewish community on programs and institutions (like the Educational Alliance) that mostly catered to non-Jews – at a time when these monies were needed, desperately, in our community to fight poverty, to relocate at risk elderly people, and help with yeshiva tuition. Only after journalist Paul Cowen exposed the plight of the Jewish poor in the Village Voice did funding priorities eventually and incrementally change – but by then for many elderly Jews, it was too late. In 1964, Sam Friedman was arrested with another younger New Yorker named Michael Schwerner. This was the Schwerner who was viciously murdered along with James Chaney and Andrew Goodman later that year by white racists in Mississippi. Friedman had planned to be in Mississippi with Schwerner to register blacks to vote. However, as fate would have it, he was drawn to visit Egypt (I suppose to lobby for peace) which is when, presumably, he got that walking cane from Nasser. Of course, Nasser was not interested in peace with Israel. Earlier in 1964, Nasser and the Arab League had created the Palestine Liberation Organization to legitimize their efforts to destroy Israel. The Arab League itself had been established in 1945 to block the emergence of a Jewish state, and when that failed in 1948-49, it organized a boycott, divestment, and sanctions campaign against a fledgling Israel. All this, of course, long before the West Bank came under Israeli control. Like all democratic socialists, he loathed Stalin for creating a genocidal totalitarian polity. 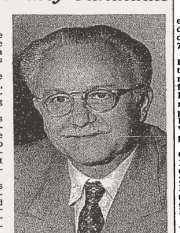 In contrast, the US Communist Party led by Gus Hall was slavishly pro-Moscow. We once had a conversation about Lower East Side Congresswoman Bella Abzug who served in the US House of Representatives from 1971-1977 and had made her mark as an opponent of the war in Viet-Nam. Friedman disparaged Abzug as a Stalinist fellow-traveler perhaps because as a lawyer she defended Moscow-aligned American communists against the US government and had been a founder of Women Strike for Peace, a Soviet front-group. I am not sure where Mr. Friedman stood on the war in Viet-Nam (I myself flip-flopped on the war) but I do know that he supported NATO as a bulwark against Soviet aggression. Being a political junky, I took satisfaction in the company of a man who rubbed shoulders with Norman Thomas, David Dubinsky of the International Ladies Garment Workers Union and Sidney Hillman of the rival Amalgamated Clothing Workers of America. In 1973, I moved to the more upscale Grand Street section of the Lower East Side into Co-Op Village constructed by the ILGWU and the ACW. Friedman lived in one of these buildings as well. Still, we came from different worlds, and our politics were informed by different eras and experiences. Born the previous century in Denver, he seemed to me to be genuinely American. I a New York-born baby-boomer was less secure in my skin. 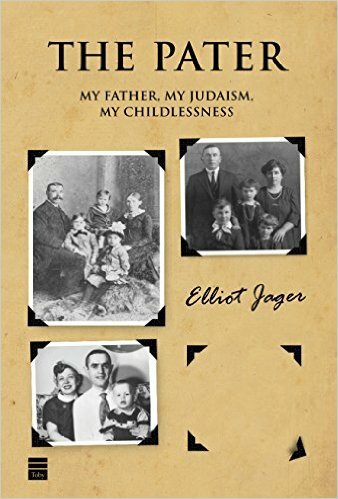 My father had survived Hitler's war against European Jewry. My mother had arrived from Poland before WWI. In her younger years she worked in a sweatshop. But Socialism was not on my horizon. As a teenager in the early 1970s, my route of political passage came via the Jewish Defense League not some socialist youth group. I took part in neighborhood safety patrols on Passover and raucous protests against Soviet treatment of Jews in the USSR outside Moscow’s UN Mission on East 67 Street. By then it was clear that the new left (alongside reactionary chauvinist demagogues of color) had spawned a new anti-Semitism to complement the Jew-haters on the old right. I wish I had raised all this with Mr. Friedman, but I didn't. Maybe I thought it would seem unnecessarily contentious. At some point he became infirm and moved to a care facility in the Bronx and regrettably I did not stay in touch. If there is one thing, I learned in the decades since meeting Mr. Friedman -- and especially since I moved to Israel -- it is not to let ideology straitjacket my thinking. If socialism means Americans today benefit from old-age pension insurance (Medicare) and maybe – one day – universal health coverage such as we enjoy here in Israel than who cares if socialists pushed the idea? My politics do not always have to be either/or. Ideological consistency is not an end in itself. For instance, I can oppose the criminalization of abortion while morally against abortion as a form of birth control. I can accept that some steps taken by Donald Trump are right and proper even though the president, unscripted, has caused grave damage to American political culture (and is a nasty piece of work). Synagogue or socialism? Maybe by coming to shul, Mr. Friedman was late in life tacitly signaling against the world of either/or. As for me, I’ll take a dash of Madison’s republicanism, a sprinkle of Jabotinsky’s iron wall liberalism, and, yes, a pinch of Samuel H. Friedman's socialism. View of New York City when Sam Friedman was in his 30s. (*) As of 2019, the Jewish Labour Bund, Meretz, Labor, and the World Labour Zionist Movement are still members of the Socialist International.